Disney Pixar Toy Story sets are one of my favorites. 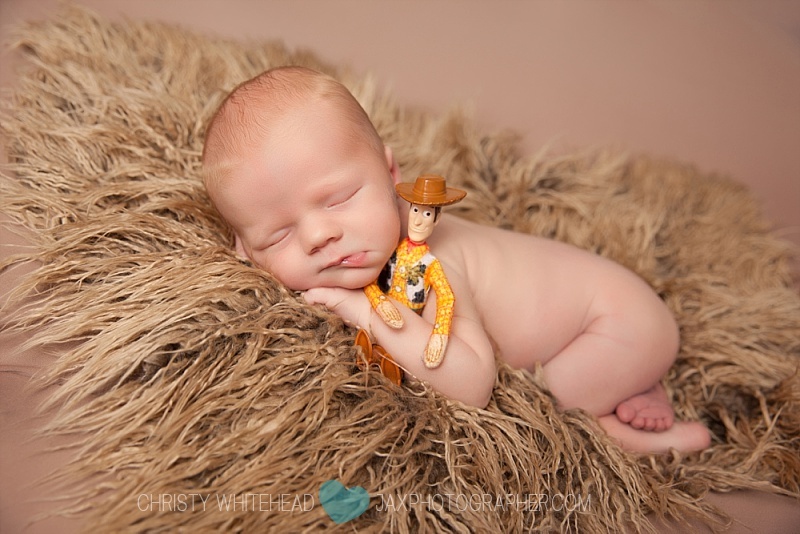 I occasionally get asked to do something with Disney in most all of my newborn sessions. 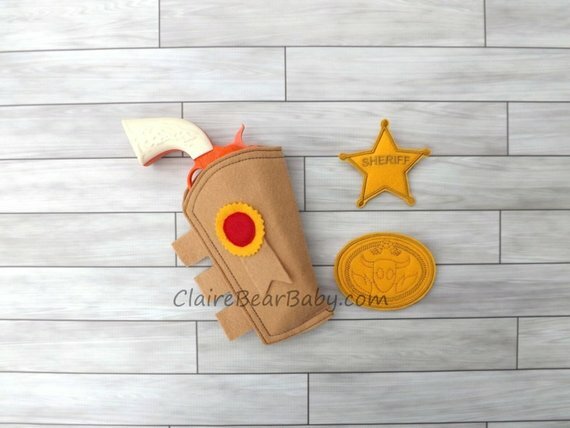 And every once in awhile a mom wants a Toy Story set for the cake smash as well. 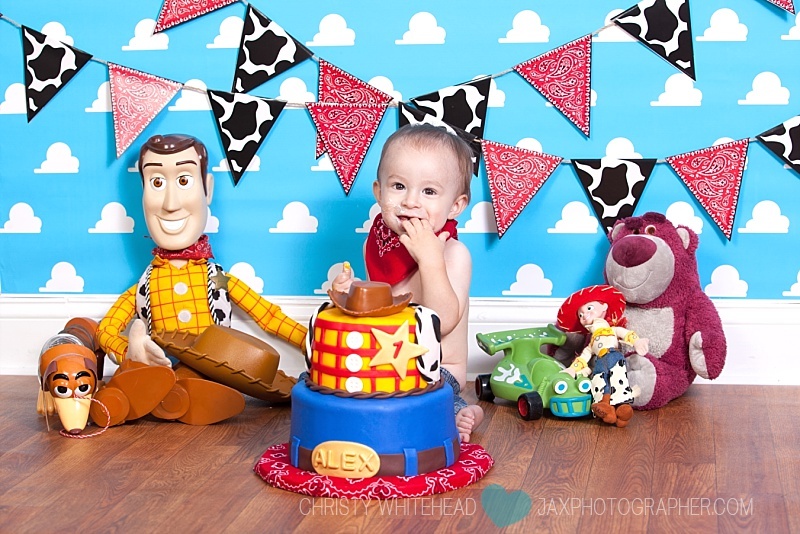 If you would like me to create a special Toy Story session for you, contact me. These are ideas for clothing for moms, but also ideas for other photographers who would like to create something similar. 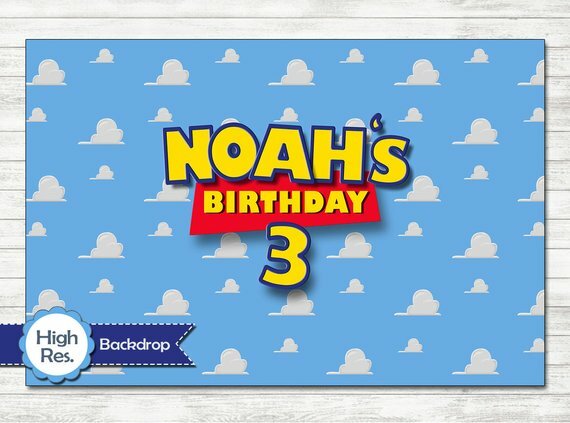 Or if you are looking for decoration ideas for your own child’s first birthday, hope this helps! When I went to do my first Toy Story session, I was trying to figure out what to put the baby in. Photographers usually use baskets or buckets. And that just didn’t seem to fit. I searched the web and Pinterest and found nothing. 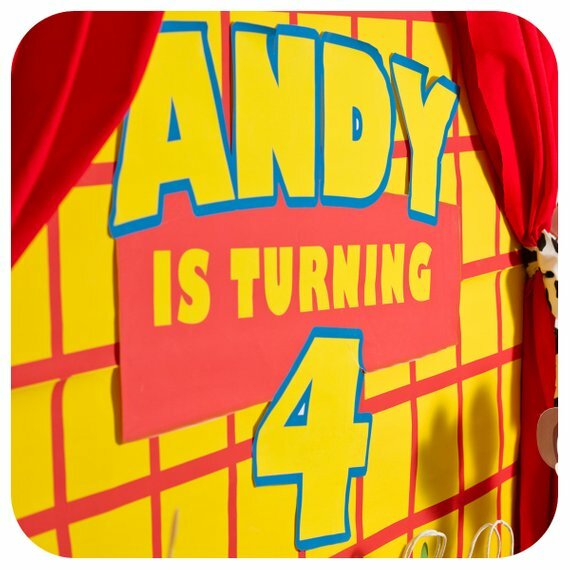 I was watching Toy Story 3 and saw the boxes, where Andy’s mom was putting the toys to donate and it dawned on me! Now, of course, if you search Pinterest, everyone copies the idea and I’m flattered. 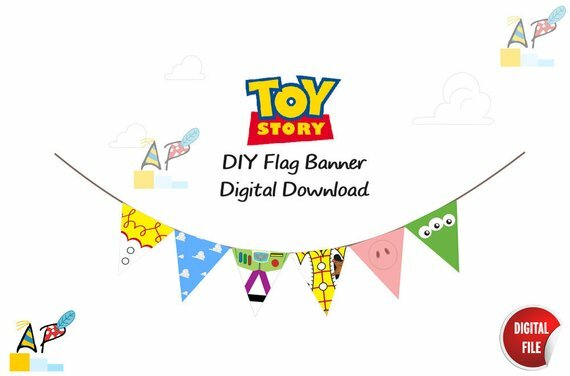 BuzzFeed has twice picked up some of my Toy Story themed sessions and posted them to their site. 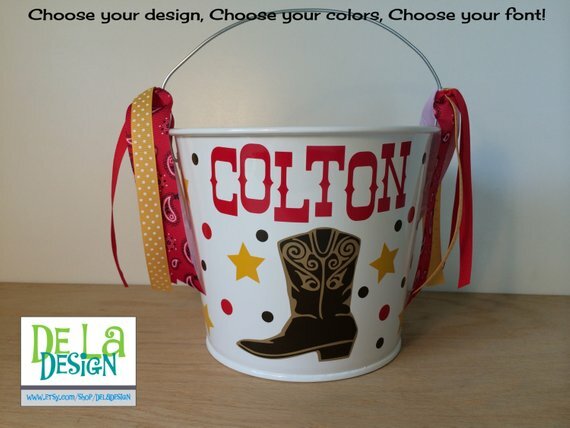 Something like this bucket would be a cute idea as well, from DeLaDesign. It could be used for Easter or Halloween after. For photographers, it would make a great gift for after the session. This wood box would be cute as well, from CarriageonCherry. This would be a more stable option, as boxes or buckets can tip. Plus it has a classy look and can be used in a bedroom after to store supplies or books. My daughter, in the photo above, is wearing a Jessie costume from Disney, and then the Buzz Lightyear hat came from Etsy. For newborns, I NEVER recommend onesies or standard clothing, they typically don’t fit and if you have writing on them it can be awkward to see. So the next image isn’t mine, but I couldn’t help but share it. 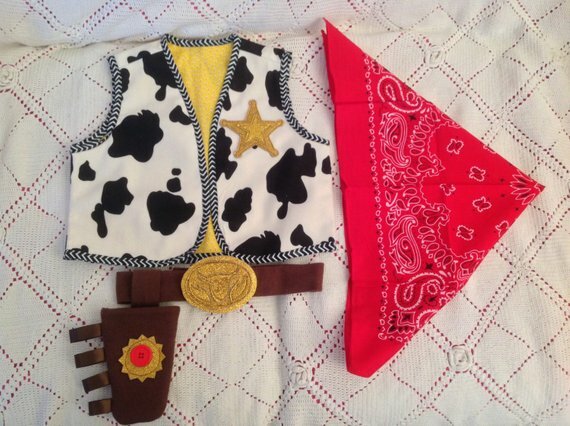 I found LoverDoversBaby on Etsy and she has some ADORABLE Disney outfits for newborns up to 12-18months. 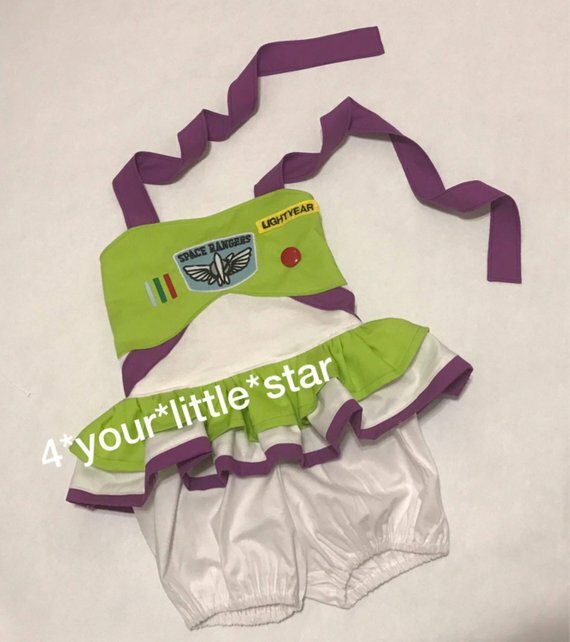 This is a cute little Buzz Lightyear romper from 4YourLittleStar on Etsy, and would look cute for any little girl who wants something different. Or if you had twins, one could be Woody and the other Buzz. I’m in love with this Jessie romper from JuneBuggsHatchlings. For boys, you could do denim pants and a red bandana (see the photo below). I NEED to pick this set up from Etsy. How cute is this? 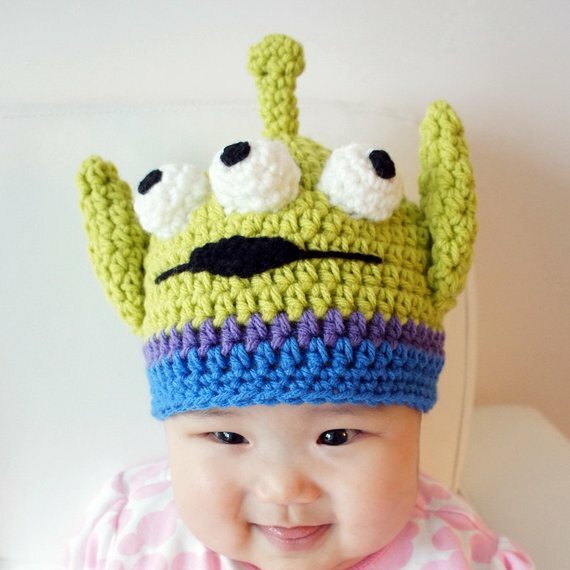 This is an adorable crocheted hat that would be cute for a session! 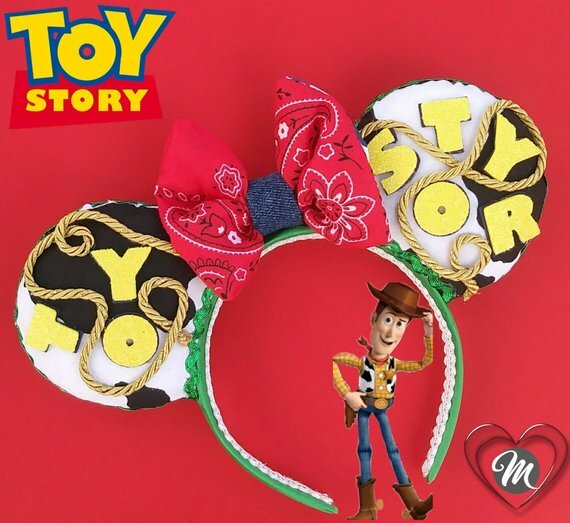 I found quite a few Disney Toy Story ears on Etsy also. You could do a simple diaper cover, jeans or tutu, partnered with something like this cute Two sided ears from Myforevercharmed on etsy. The toys in my sets were all items I had in my collection. You can usually pick some up at flea markets, yard sales or Ebay, if you don’t have a Disney Store nearby or don’t want to spend a fortune. 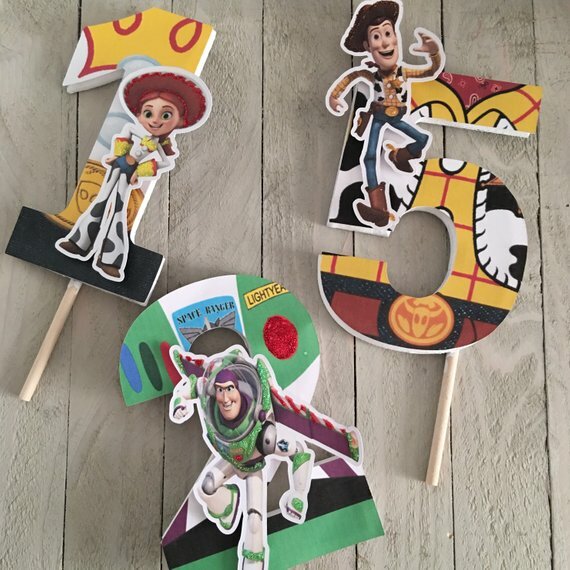 Some other ideas for decorations, I LOVE these blocks that look like Toy Story blocks and you could spell out your child’s name from AuntJJsAttic. Of course, I’m also a huge fan of naked baby booty. I think I got the flags from Target. You could do something like this from Amazon. 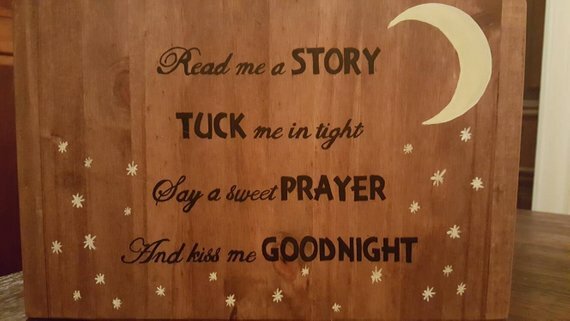 This is an adorable printable from Etsy that has all the characters on it. I made the backdrop for my Story sets. I designed it in Photoshop and then had it printed out. Etsy has a couple of vendors who provide a digital file for printing your own. Here’s a cute one from KbKParties. For the cake, I love the above Toy Story cake. We used an actual toy hat for the top. However, you can find some cupcake toppers and such on Etsy. Like these from BellaMiaUs, if you just want character toppers for cupcakes. 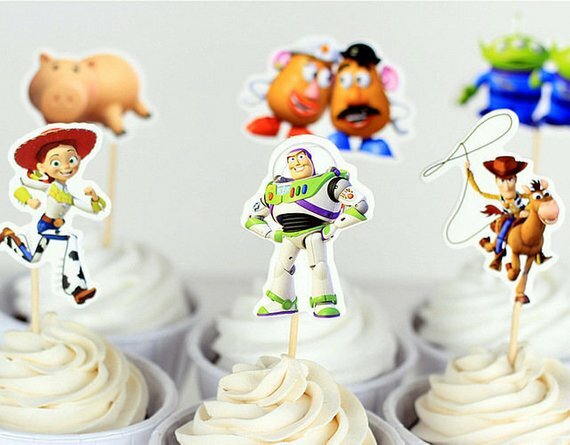 Or these number super cute toppers from Thingamaparty! 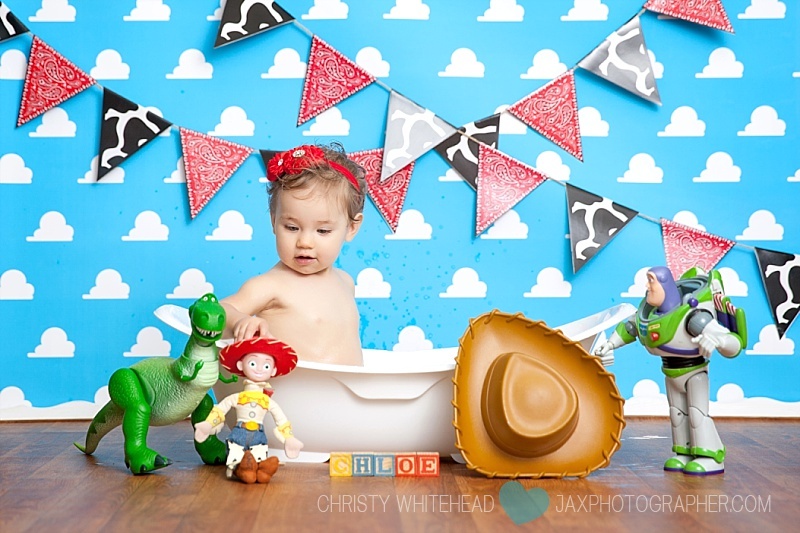 Skylar in blocks, Toy Story newborn and sitter session! Christy Whitehead is a photographer, based out of Jacksonville, Florida. 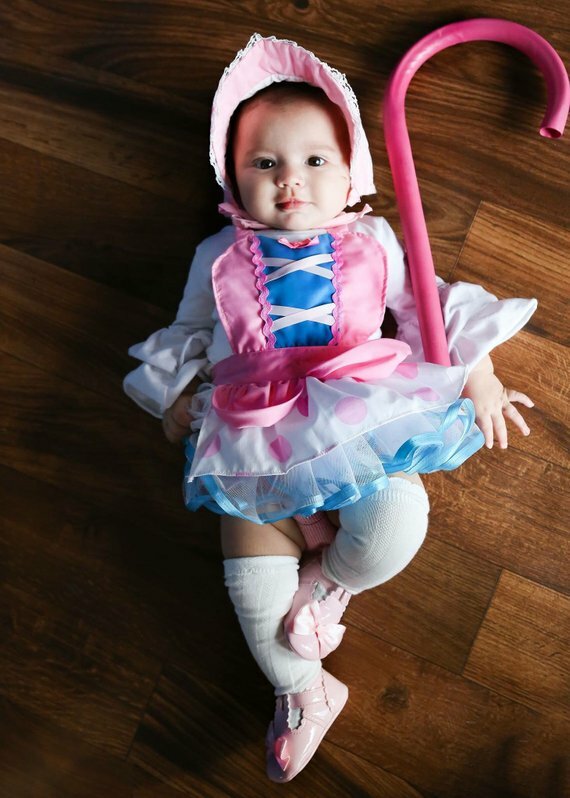 She specializes in maternity, newborns, families, and cake smash sessions. 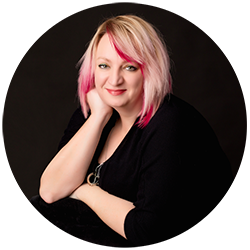 Her studio is located right off of I-10, ten minutes from downtown. Previous Previous post: Would you like to help the family of Deputy Ben Zirbel Family? Next Next post: In Tribute to Lynrd Skynrd’s Last Concert in Jacksonville, Ideas for a Music Cake Smash!